Hello my lovelies! 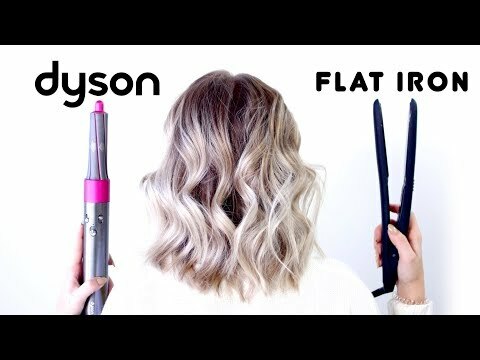 I’m back today with another really requested video comparing the Dyson Airwrap curling barrel to a flat iron or hair straightener waves or curls (depending how tight you curl or wave your hair.) I curled the left side of my head with the Dyson Airwrap 1.2″ curling barrel and my right side with my bio ionic 10x flat iron 1″. I really wanted to see how the curls would last for a total of 24 hours!